On average Swift Money® approve over 97.5% of all short term loan applications. Instant Short Term Loans Of Up To £1000 - Apply Online Now. Short term loans are offered to borrowers and repaid within a period of up to 12 months. For many years, people have always opted for short term loans to settle urgent bills. This is mainly due to most short term loan lenders requiring less to no collateral when making a lending decision. The good news is that since the dawn of computer age, short term loans can be applied for online within minutes and here at Swift Money we are no different, in fact we believe that we are one of the fastest short term loan solutions available. You can apply for a loan, receive a decision and have the funds in your bank account, all within the space of 10 minutes. Short term loans are small loans offered to borrowers and repaid within a period of up to 12 months. For many years, people have always opted for a short term loan to settle urgent bills. This is mainly due to most short term loan lenders requiring less to no collateral when making a lending decision. The good news is that since the dawn of computer age, short term loans can be applied for online within minutes and here at Swift Money we are no different, in fact we believe that we are one of the fastest short term loan solutions available. You can apply for a loan, receive a decision and have the funds in your bank account within as little as 10 minutes. When looking for the best short term loans, you not only need to compare the Annual Percentage Rates (APR), but also many other details. You need to see if the payment schedule can be changed, if the interest rates are fixed or not, wether instalments are offered or whether they have a way of lowering the rates. Looking for all these details before acquiring the short term loan will ensure that you get the best deal possible. A payday loan also fits the description of a short term loan. A payday loan is a short-term loan/cash advance unsecured loan. This means that it may not be linked to the borrowers’ payday. Payday loans can only be offered to applicants in full time employment. Why do we need short term loans? Short term loans are usually required to deal with emergency financial situations, such as car repair and similar unexpected expenses. Cash emergencies happen every day and you may find yourself needing a cash injection in such circumstances. Short term loans come in handy for exactly this purpose. We at Swift Money understand this and strive to provide the most affordable and efficient service possible to help our customers get back on their feet. You probably want to find out why you should choose ourselves instead of other lenders in the marketplace. 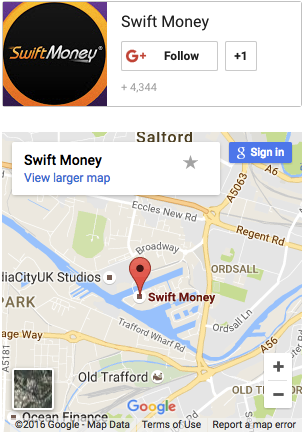 Swift Money have processed over 700,000 payday loan applications since we was incorporated in March 2011. We have received numerous positive reviews from our customers who chose to turn to us time and again. We offer our customers some of the highest acceptance rates within the industry. We also process the loan application in under seconds and can have the funds deposited into your bank account within just 10 minutes. We do not require a lot of information and there is zero paperwork as the loan process is carried out online. If you face any difficulties during the time that your loan payment becomes due, it is important that you inform the lender of this. After contacting the lender they will advise you on the available options. An payment plan could be arranged to lessen the burden of repaying in one total amount, though this could incur interest on the outstanding balance. Failure to report your situation to the lender may prompt them to forward your details to the debt recovery agencies which would have a negative impact on your overall credit.